Raise your eyes, raise your thoughts, let your imagination and wishes and desires soar to the heavens! 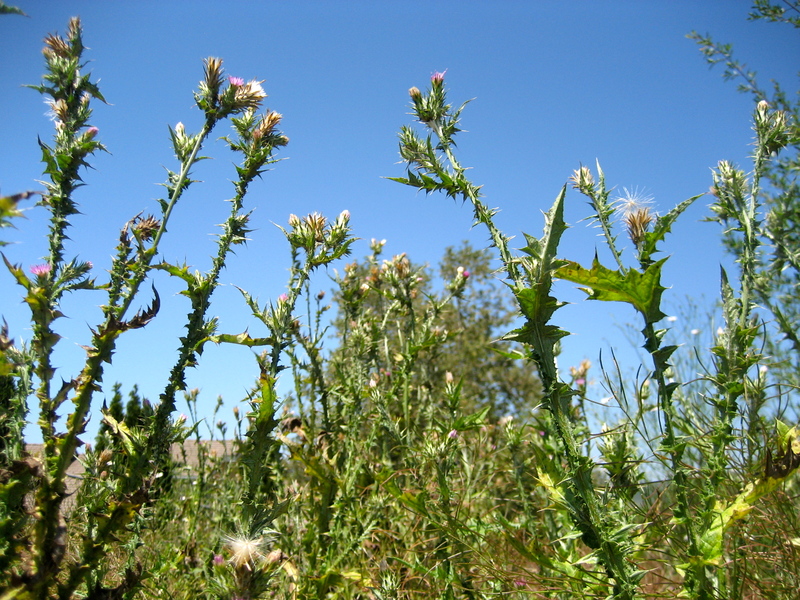 These weeds sing in a group which make their voices sweet and loud. They put aside the annoyance that sometimes comes from prickly neighbors who gather close, because they enjoy the solidarity of the group. If we object to others’ prickles or thorns or crowding ways, we silence our own inner beauty. Thank you thistles, for looking heavenward!